Maria Cannon from HobbyJr.org is a guest blogger for this post. https://mylittleconservatory.com/wp-content/uploads/2018/06/MLC_logo-1.png 0 0 My Little Conservatory https://mylittleconservatory.com/wp-content/uploads/2018/06/MLC_logo-1.png My Little Conservatory2018-08-07 00:52:332018-12-06 06:26:35What’s more important than a strong academic foundation for school? Practice makes perfect. But with young kids, it’s easier said than done. At My Little Conservatory we want our students to enjoy both their lessons and at home piano practice. Playing the piano should feel like they are doing just that – playing. It’s how kids learn best and why we have play activities during piano lessons. The last thing we want is tears over having to practice and for it to feel like a real chore. We like to tell parents that they are their child’s first and best teacher because it’s true! Sure, parents may not always know all the answers—like that initial night home from the hospital (now what?!) or when a baby experiences a growth spurt and wakes up every two hours (why?!). But, thankfully parenting is not about personally knowing all of the answers all of the time. It doesn’t change the fact that parents ARE the early childhood experts when it comes to their own children. Come check out a free demo class!! During the last week of August we are offering numerous demo classes! Wondering what a baby class is like? Come and see for yourself! Wondering if your child is ready for Wiggle & Grow? Come see. 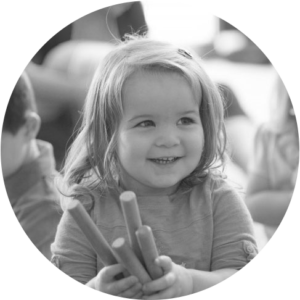 This 30 minute class will give you a taste of some of the fun that Kindermusik offers. You’ll see a class in action. Have fun singing, dancing, playing instruments, giggling, and learning while you see just what makes Kindermusik soooo special. Come play with us! Register for fall before the end of the month and receive a free set of rhythm sticks!!! Kindermusik isn’t just for kids – it’s for parents too! You’ll love the support and friendship you find amongst the other adults in the class. The class activities are just as much fun for you as they are for your child – and no one cares how well you sing or dance. It’s all about the kids! Plus you’ll take home what you learn so that along with your Home Materials, you’ll have the tools and resources at your fingertips to extend the fun, music, and learning at home. 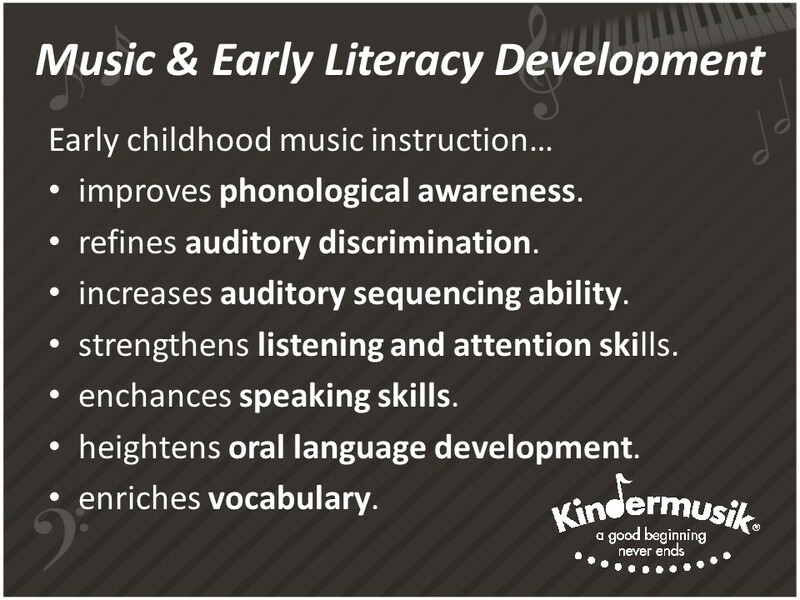 Kindermusik classes will become the highlight of your week.